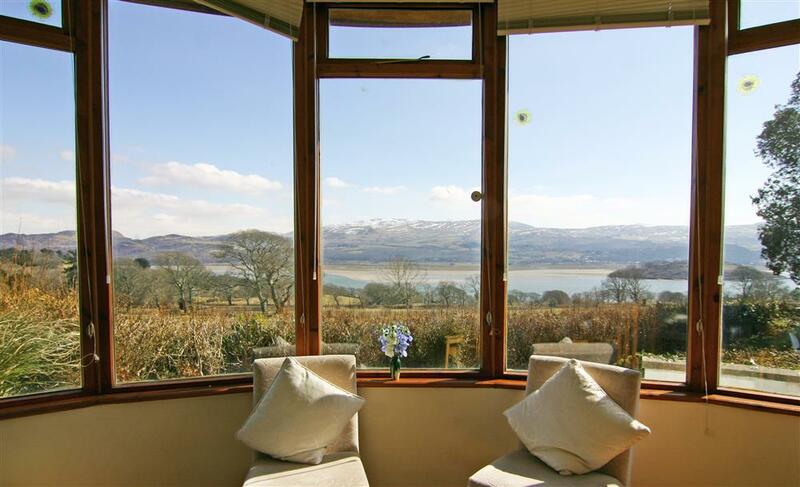 Stunning views of the estuary & mountains beyond await you! Sit back and enojy the ever changing views with a glass of wine or a cup of tea! 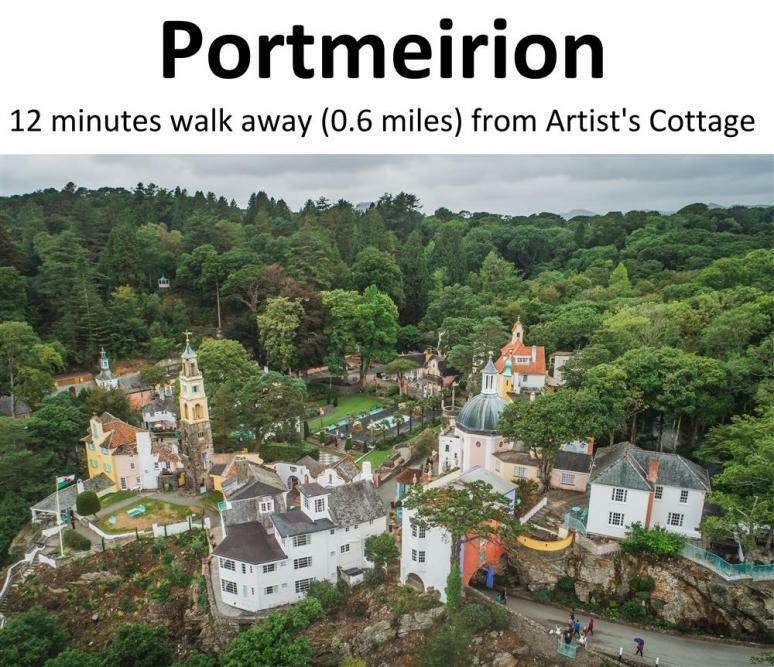 The more adventurous guest can enjoy the many coastal or mountain walks nearby or simply stroll down the lane to Portmeirion village. 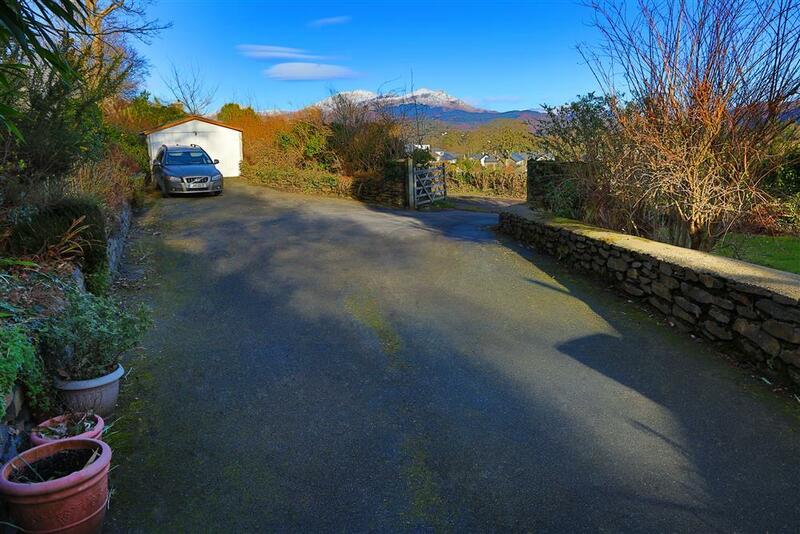 This prestigious split level villa (which is bigger than it looks) on its own private grounds within the scenic and serene Portmeirion Conservation Area, is conveniently located 2 miles from the seaside/mountain resort of Porthmadog in the Snowdonia National Park. 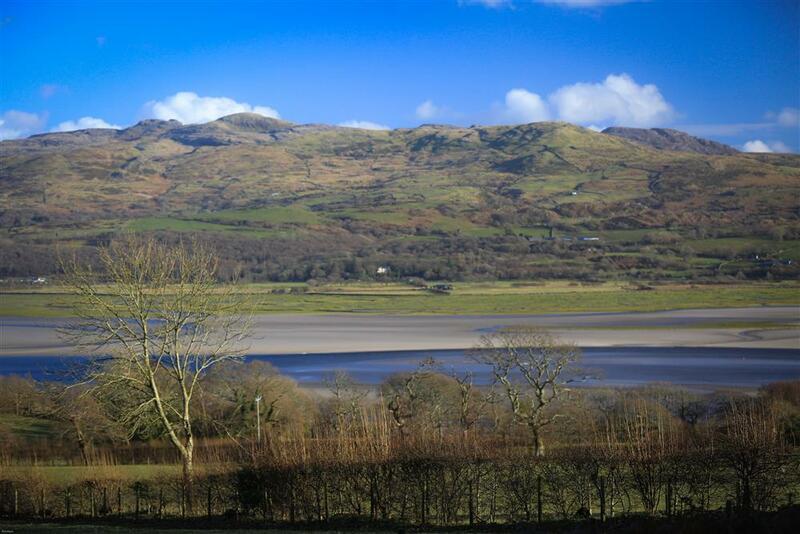 Pleasantly situated within walking distance of the tidal estuary foreshore, Minffordd village, Ffestiniog Railway station and the world renowned Sir Clough Williams-Ellis' artistic village and gardens of Portmeirion. 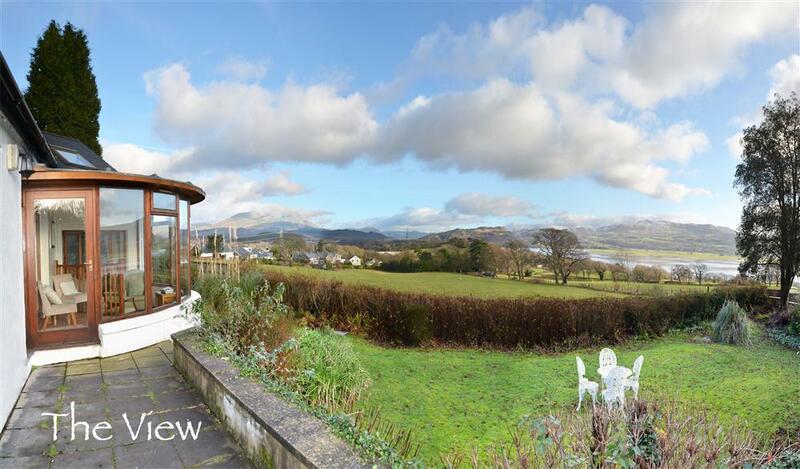 The villa enjoys a camera obscura of the Snowdonia mountains and the tidal Dwyryd estuary from all main rooms. Within walking distance of the Mermaid Spa at Portmeirion and the Castle restaurant and bar. 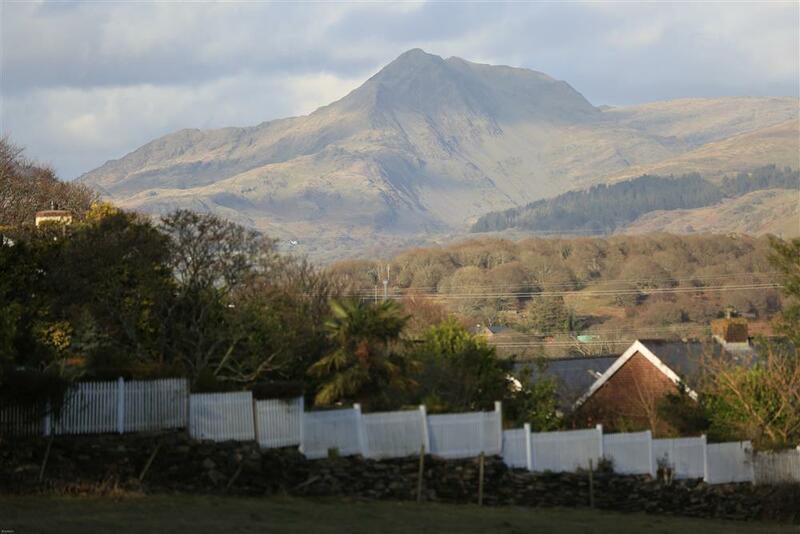 Porthmadog town is 2 miles walk through the woods and along the steam train line or Glaslyn bike trail. In the town there are many craft shops, pantrys and gift shops plus a leisure centre and the Ffestiniog Railway steam train station. Beautiful Beddgelert is only 8ml through wonderful scenic gorges. Harlech castle town with the theatre and sandy beaches 6ml. 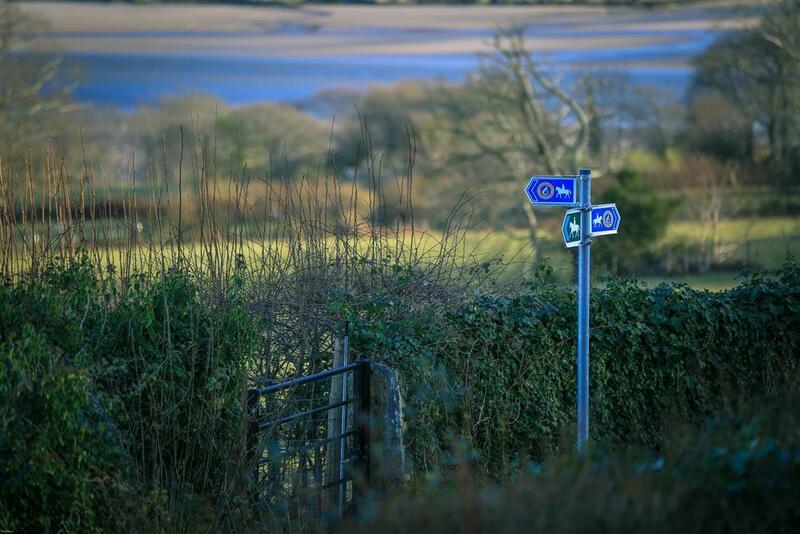 500m footpath to the estuary shore from the cottage, mainline and Ffestiniog Steam train station 1km. Easy access along a 100m unsurfaced road. 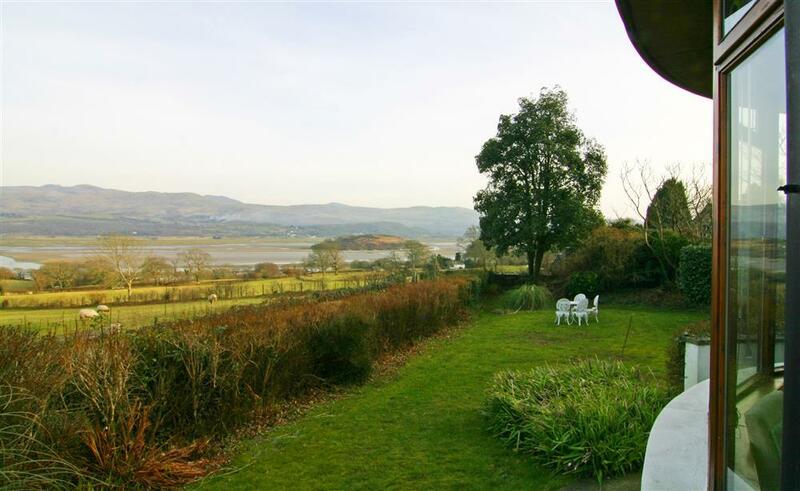 This is a special holiday property in North Wales. 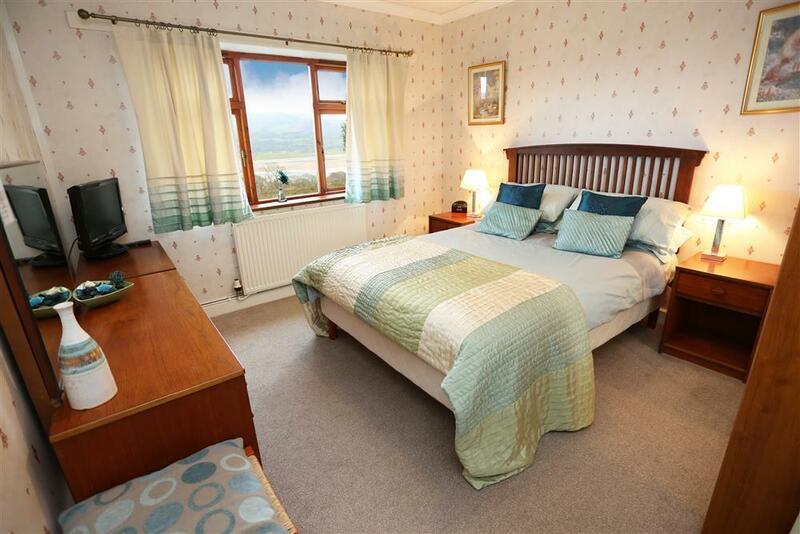 4 BEDROOMS: The following are all on the ground floor: 1 bedroom with a Double bed, 1 bedroom with 2 Single beds. 1 bedroom with 1 Single bed. Upstairs there is an en-suite bedroom with a Kingsize bed and a 2' 6" bed (suitable for a small child), 19" TV/DVD & iPod docking station. EN-SUITE SHOWER ROOM/WC. Bed linen is provided, but you will need to bring your own towels. BATHROOM: Bath with electric shower over the bath and WC (downstairs near the bedrooms). SHOWER ROOM/WC: shower in a shower cubicle (downstairs near the lounge and bedrooms). 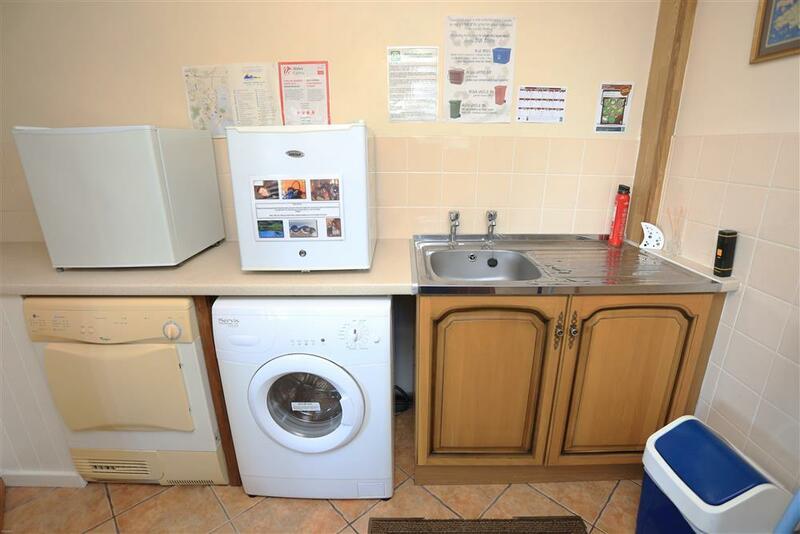 KITCHEN/BREAKFAST ROOM: Cottage style fitted units with electric hob and oven, fridge, microwave and dishwasher. LOUNGE: Sky Freeview flatscreen TV and flame effect electric or open fire (Open Fire is available by prior arrangement with the Owner at a cost of £30). GARDEN: Private and enclosed with large lawns to front and side, elevated patio with dining furniture, BBQ and fantastic views. PARKING: Ample private parking for up to 4 cars. HEATING: Full oil central heating. ELECTRICITY & OIL: Up to £50 included. Measured by meter reading (usually enough for a week with considerate use). Free STORAGE for bikes in garage - available on request prior to arrival. PET: 1 dog accepted if it is happy to stay in the kitchen, dining room and conservatory area where there is a wooden floor. No pets please in the carpeted areas in the house (lounge and bedrooms) unless lying on a blanket. FAQ: There is a highchair and 1 stair gate at the cottage. The garden is enclosed enough for dogs. 10% (up to £100) Multi-week Discount if booking 2 weeks in succession. Not available with any other offers. Small Family Discount, using just 2 BEDROOMS: 1 Double bedroom, 1 Twin bedroom - both downstairs. See BH4 for available dates and prices. Mini-break rules: A mini-break is a holiday for less than 7 nights and/or may start on a day which isn't the normal changeover day. In season (April and end of October), this property will accept mini-breaks 35 days before the start date of the holiday, and bookable anytime out of season. Please note: A returnable £200 Security Deposit will be required before we can give the key safe code. Our experience shows that this procedure results in an all round better holiday for everyone, as our holiday home owners are prepared to offer better quality properties for guests and all guests fully respect the property and so make manageable the process of preparing the property for the next guest's full enjoyment. Nearly all our guests are respectful people where the bond is fully returned. We have a high proportion of returning guests who are appreciative of our service and the high standard of accommodation that we strive to provide. Please be assured that STS is a Visit Wales/Welsh Assembly Government Accredited agency. Thank you in advance for your co-operation. 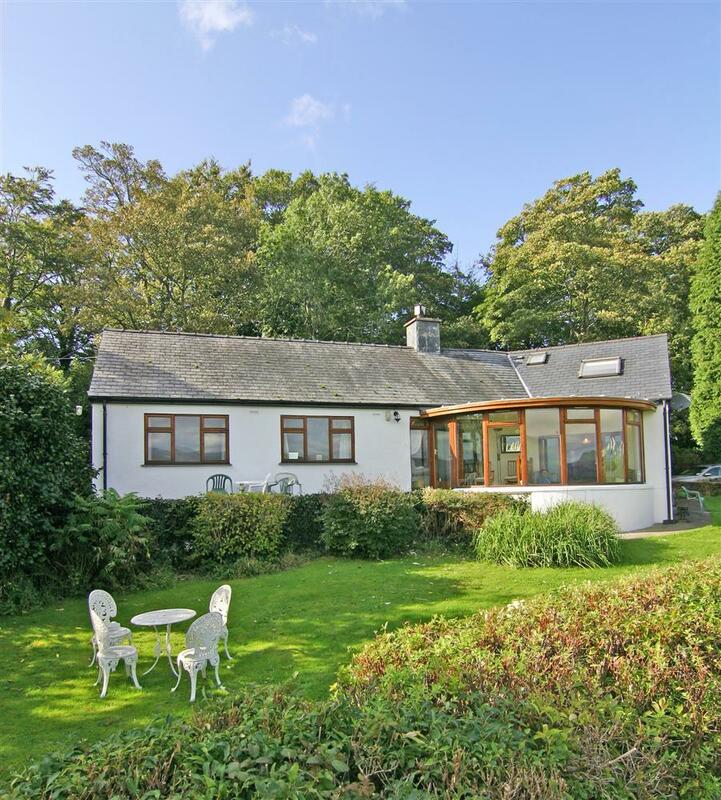 Numerous Guests: "The cottage is much bigger that it looks in the brochure!" S, N, H & J: "Lovely cottage. Great birdlife!" The J & H Families (June, 2018): "Thank you for a wonderful holiday. Great place to stay. 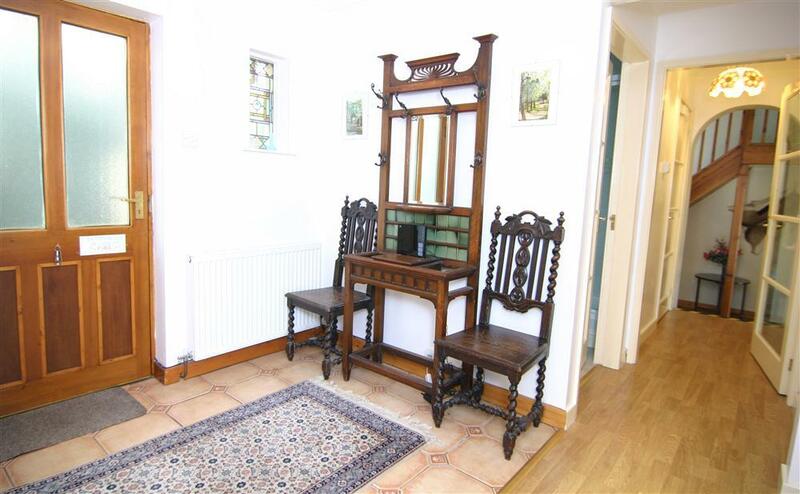 Very much appreciated such an amazing house and facilities." The W Family (Oct, 2017): "Had a lovely week, shame about the weather. House comfortable & well equiped." Mr & Mrs B (Sept, 2017): "Wonderful views & beautiful sunrises." The F & S Families (July, 2017): "Lovely cottage & magnificent views. Lovely weather, been on ffestinog railway twice... had a really good time, will come again. Thank you." The T Family (June, 2017): "We had a very nice holiday. Really nice cottage but would of been better with better weather. We all enjoyed the lovely views. Thank you!" The W Family (May, 2017): "Comfortably, cosy cottage - excellent - sun all week." 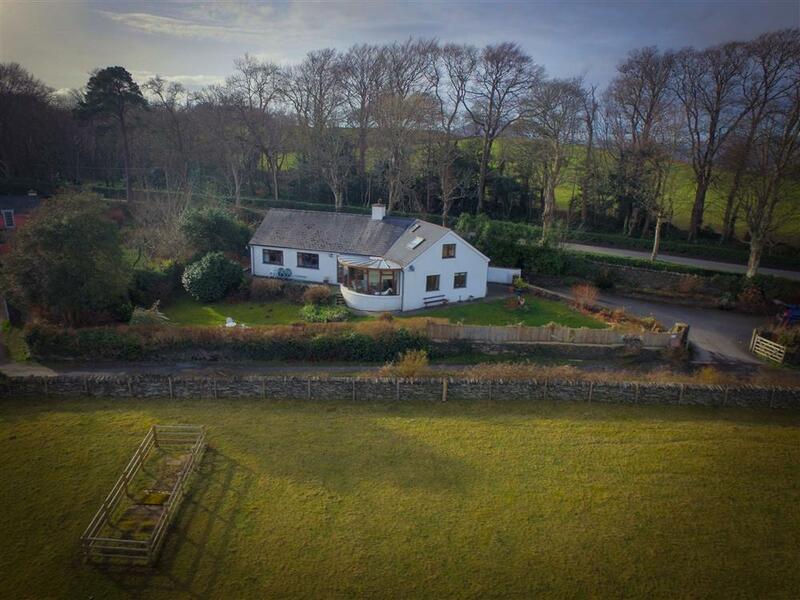 Mr & Mrs H (April, 2017): "Wonderful week at this unique cottage, 2nd visit. Hope to return next year. Thank you!" The C Family (April, 2017): "3 generations for our 4th Easter 2 week holiday in Artist's Cottage. Perfect as ever." The D Family (Jan, 2017): "What a view - beautiful. We have thoroughly enjoyed our few days here. 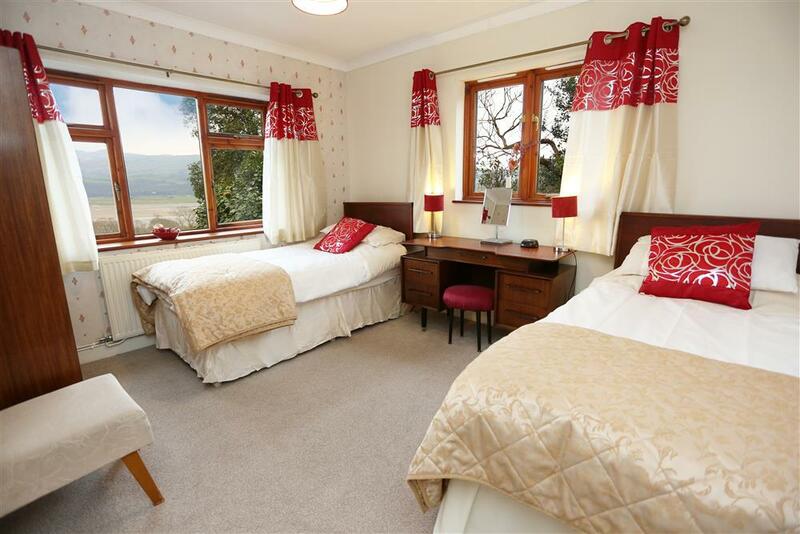 Cosy, well equipped and comfortable in a fabulous location." The G Family (Dec, 2016): "A beautiful 'home from home'. Fantastically equipped & well presented. Thank you so much for your hospitality & assistance on our rrival, it was much appreciated. We have thoroughly enjoyable break & look forward to visiting again." The S Family (Oct, 2016): "Home away from home. 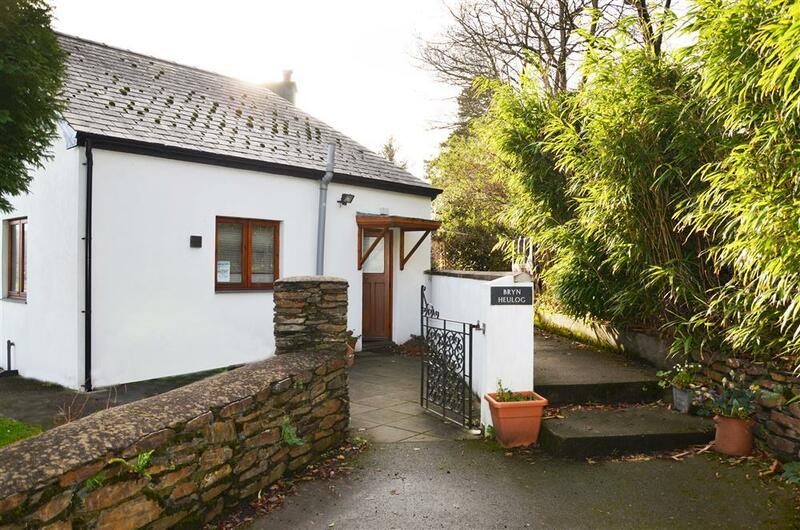 Beautiful cottage, relaxing week away as always :)"
"Close to Portmeirion this is a detached property with attractive gardens and lovely views. 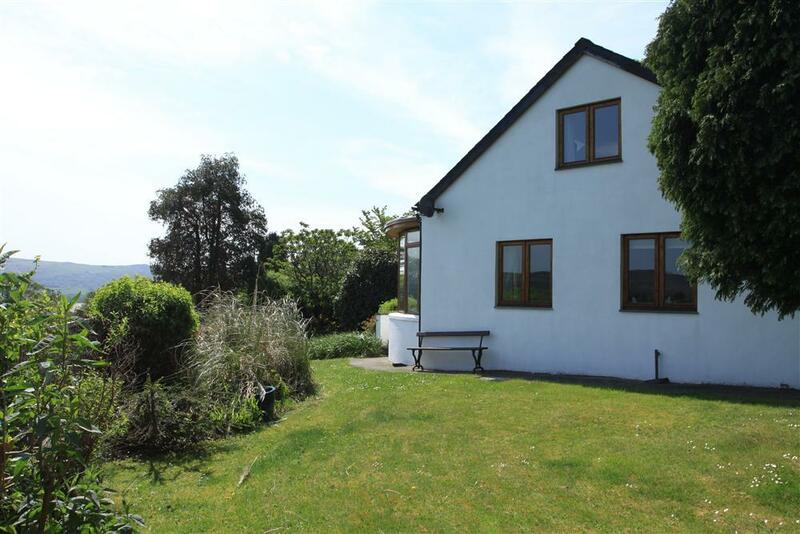 Spacious and well presented, the house has a comfortable lounge with open fire, conservatory overlooking the estuary. This is a split level bungalow with bedrooms on the upper ground floor and 1st floor. 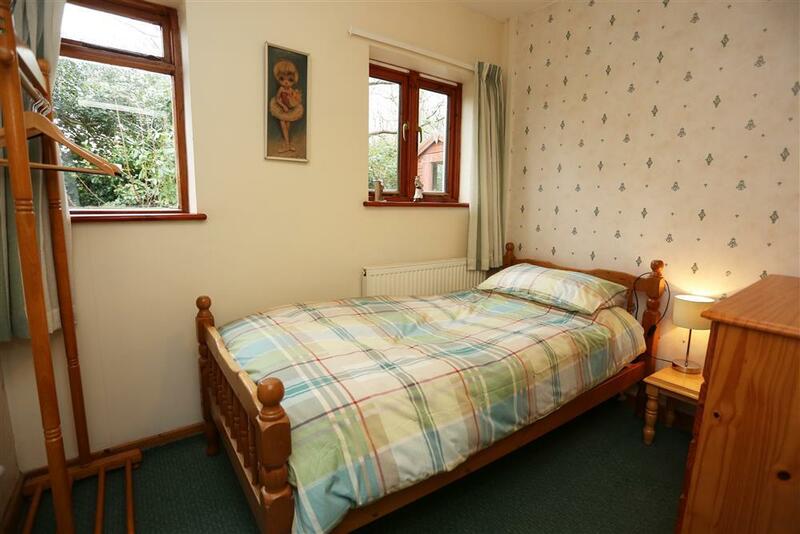 The kitchen, utility room, dining room and conservatory are all on the ground floor BUT there are 3 steps from these four rooms up to the floor which has the lounge, three of the bedrooms (the 1D, 1S+S and 1S), the shower room and bathroom. The fourth bedroom and en-suite is on the 1st floor which is accessed up a dog leg staircase. The large car parking area has a tarmac surface and it is possible to park up to 12 feet away from the back door. There is a rain guard/small easy rise step into the utility room and then a sharp 90 degree turn into the kitchen (this would be difficult for wheelcairs). There are laminated wooden flooring surface to the utility room, kitchen and dining room and hallway, carpets on the bedroom floors and ceramic tiles on the floors of the conservatory and all bath/shower rooms. The shower cubicles are standard 800mm width with sliding perspex type doors. Access to the front patio is through the conservatory via 2 steps up to the door. 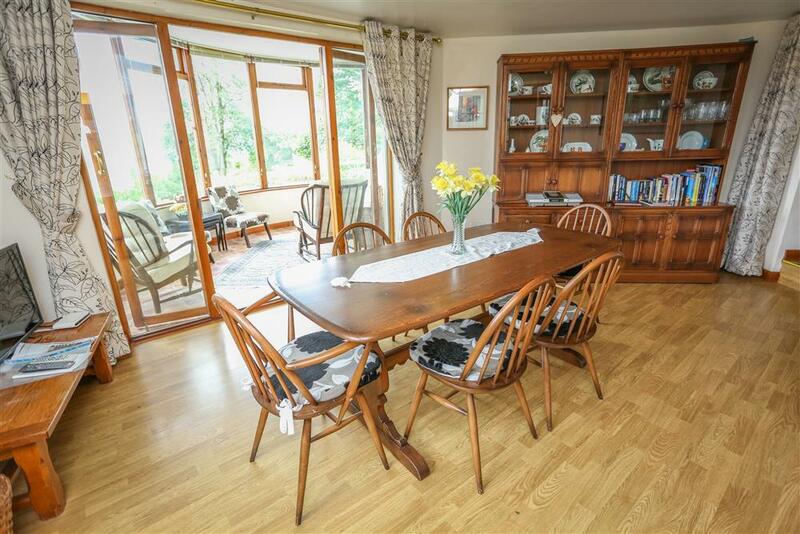 There is access to the conservatory from the dining room and from the lounge. Doors are all of standard width except there are double doors between the kitchen and the dining room and again between the dining room and the conservatory. If you need more information please contact our office. How many nights? 3 nights 4 nights 5 nights 6 nights 7 nights 14 nights 21 nights How many adults? 0 1 2 3 4 5 6 7 8 How many children? 0 1 2 3 4 5 6 7 8 How many infants*?